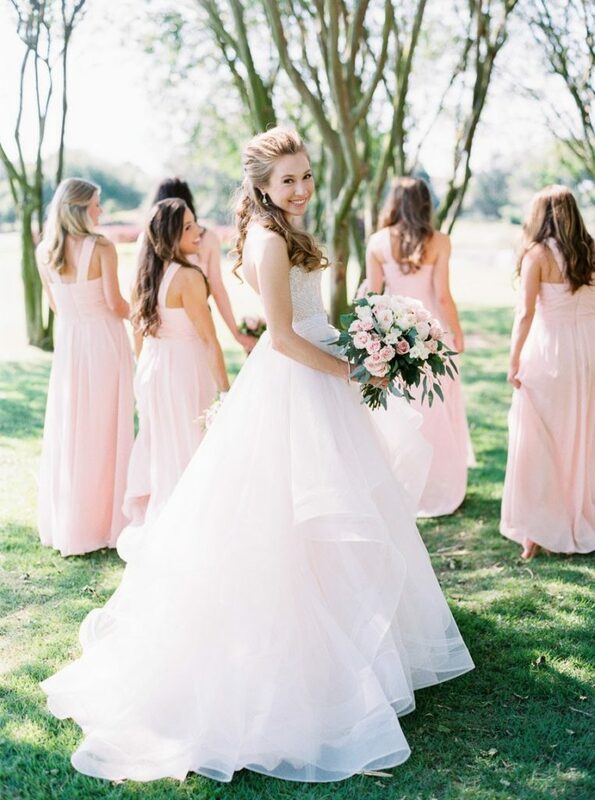 This wedding inspiration on the wooded grounds of The Houstonian truly is a scenic oasis — and the stuff dreams are made of! The stately and romantic interiors are the perfect complement to the lush, natural landscape that surrounds it. The bride with her versatile, feminine gown from Brickhouse Bridal looks as graceful in the gazebo as she is chic in the Manor House. 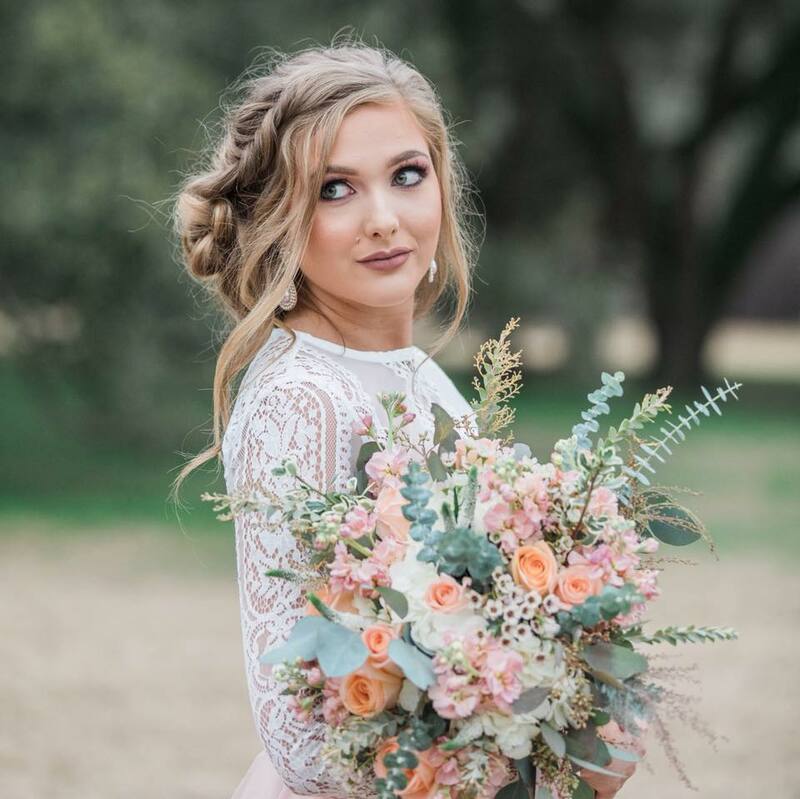 The finishing touches such as her romantic updo complete with soft curls by Callie Elizabeth Hair and the natural palette with striking eye makeup from ELM Beauty really make the entire bridal look a show-stopper. 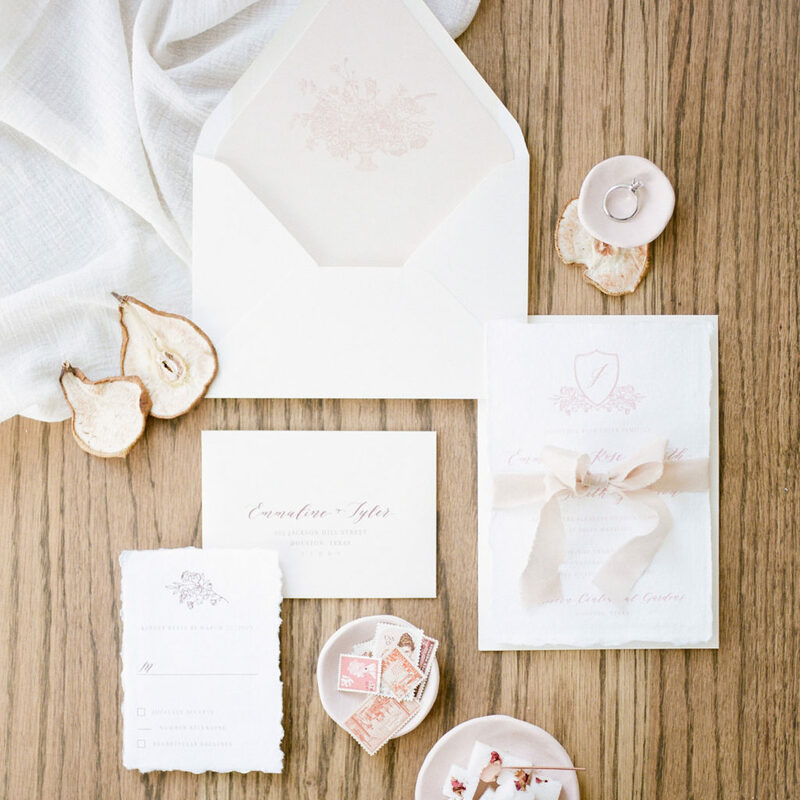 This wedding inspiration is all about the details, and we couldn’t be more in love with details like the charming invitation suite from Dreams and Nostalgia and the exquisite blooms from Jennifer Laura Design! (We would probably just forgo tossing this bouquet — it’s too pretty to let go of!) 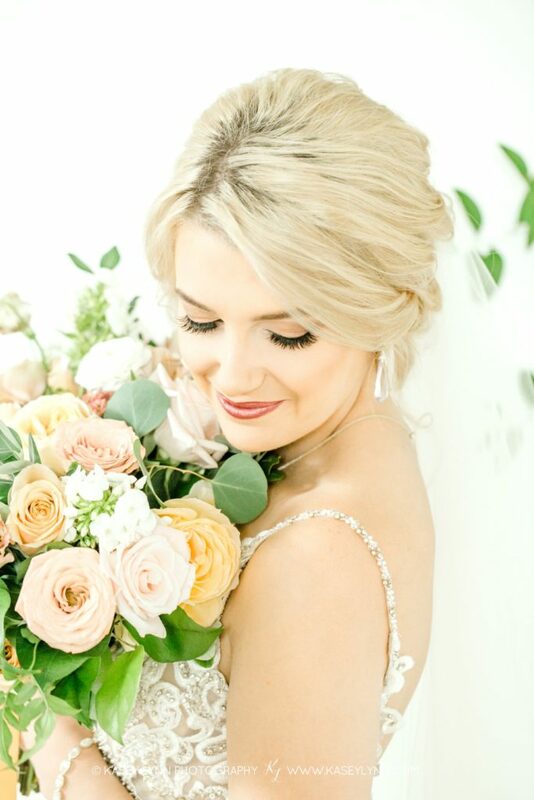 Enjoy all this delicious wedding inspiration beautifully captured by Fulleylove Photography! 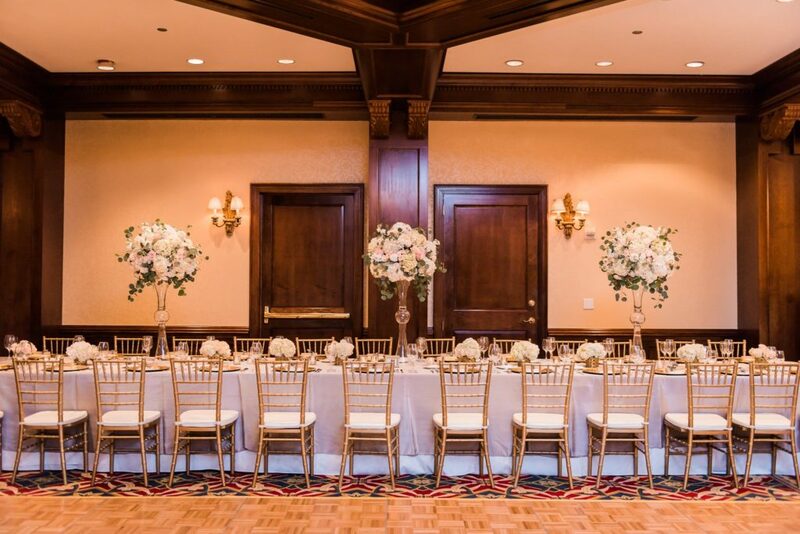 Local Venue Spotlight: The wooded oasis The Houstonian sits on provides a charming backdrop for your wedding or private event. 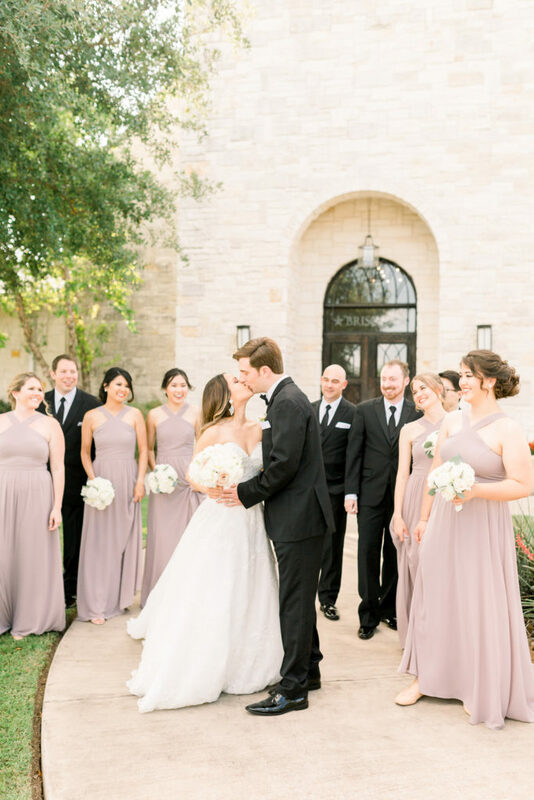 Whether an intimate affair or large celebration, your event will be the social event of the season when combined with the attention to details their experts offer. 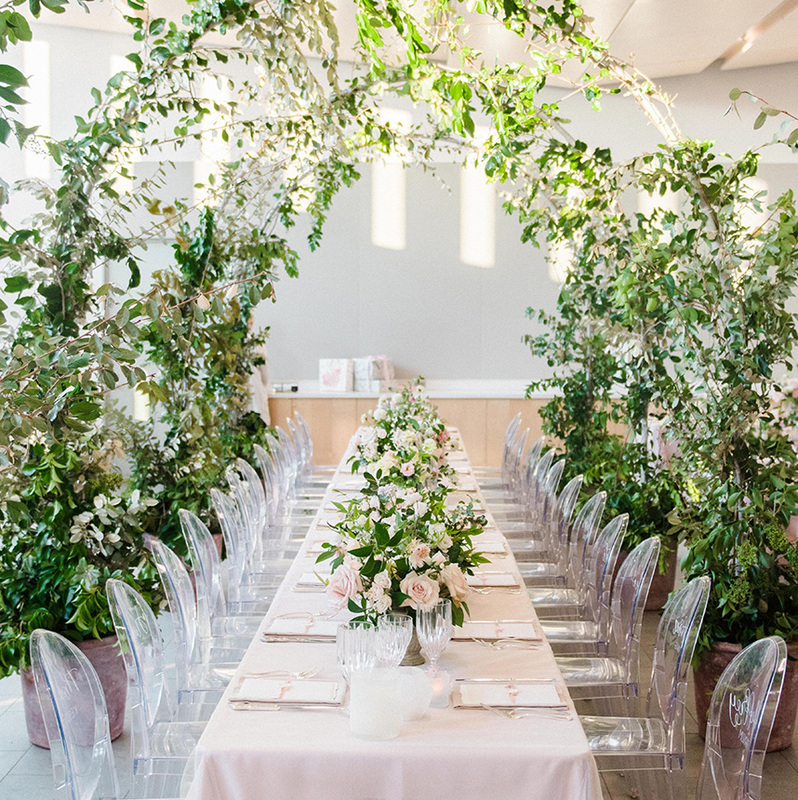 Not only do the scenic views and event space encase your guests in serenity, but when combined with a menu crafted specifically for your taste elevates your wedding or social event to a new level. 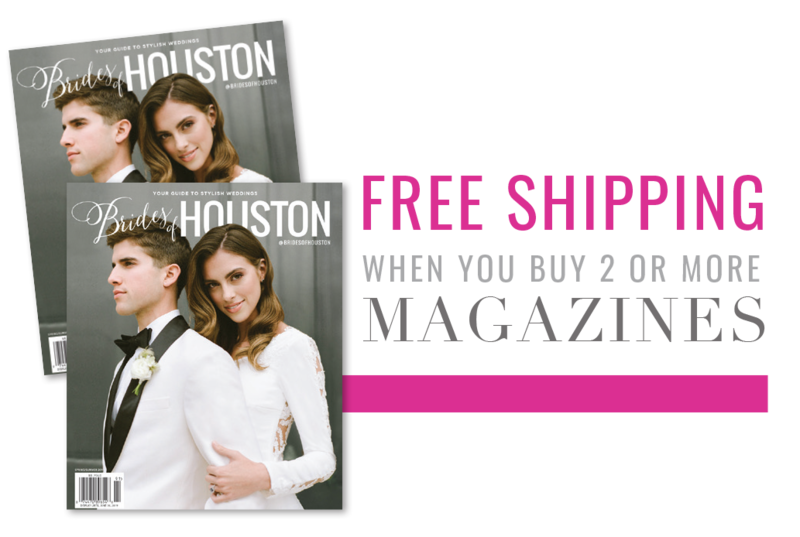 « Previous Post: The Brides of Houston Spring/Summer 2019 Cover is Revealed!